All of this week (8-14 June), Carers Week aims to recognise, support and celebrate the vital contribution that carers make to families and communities across the UK, including those dealing with the impact of Parkinson’s. The annual campaign connects communities with individuals, providing resources and materials to encourage greater awareness and help empower carers. Events are taking place up and down the country to involve carers and make them aware of the support available to them. 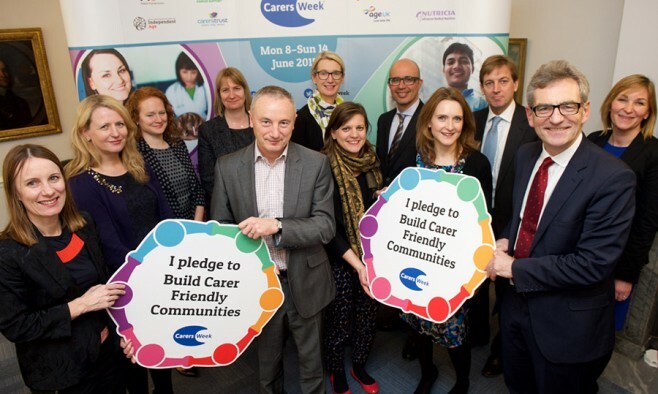 The focus of this year’s Carers Week is on building ‘carer-friendly communities’ – an acknowledgment that caring can often become an extremely isolating job. Diana Walles, manager of Carers Week, said: “This is our call to action to urge individuals, organisations and service providers to wake up to the needs of carers and do their bit. Across the UK 6.5 million – 1 in 10 people – are caring for a loved one. To pledge your support and to find out how to get involved with events near you, visit the website.